Unity Care, P.C. was founded in 1988 by Terry L. Pulver, Ph.D. Dr. Pulver provided services at various residential and inpatient psychiatric facilities across Pittsburgh. During this time, he also saw many patients in long-term outpatient psychotherapy practice. Dr. Pulver joined forces with Jeffrey Wilson, M.D. in 1991 to form and incorporate Unity Care, P.C. where they provided both psychological and psychiatric services. Dr. Pulver took sole ownership of Unity Care in time, and the practice became a corporation of psychologists only. 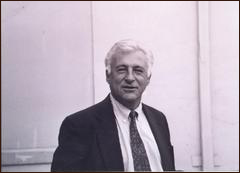 Dr. Pulver added various psychologists to Unity care over the next two decades. From 1991 through the present, our group has provided services in various area nursing homes, are privileged attending psychologists in local area hospitals where consultation, psychotherapy, and assessment services are provided, and have conducted numerous outpatient assessment services. Dr. Pulver, Dr. Roger Brooke (who joined our group in 1996), and many other psychologists have provided skilled and competent services at our private office and in our various community inpatient and residential facilities. Our group has become known for our astute work with severe and persistent mental illness and geriatric populations. We are also sought after given our individualized approach to psychological assessments where our findings are appreciated for their depth, clarity, and practicality. In addition to our corporate services, each of our psychologists in private practice is widely known in Pittsburgh, and some nationally and internationally, for his/her skills and competence. Unity Care, P.C. was long managed by Dr. Pulver’s wife, Susan Pulver, who was instrumental in helping the practice to grow, in navigating the managed care world, and in maintaining the practice through new hires and policy changes. Our existing practice is as indebted to her as we are to Dr. Pulver. Dr. and Mrs. Pulver’s retirement was certainly deserved, and they are missed. Patrick J. McElfresh, Ph.D. assumed ownership and leadership of Unity Care, P.C. in January 2013. Under Dr. McElfresh’s leadership, Unity Care continues to provide these various services today. Unity Care also aims to continue expansion in order to provide more access to assessment, psychotherapy, and consultation services. This expansion includes, in part, extension of our services to children and adolescents, the addition of more inpatient and residential centers including nursing homes, as well as ongoing independent medical and forensic services. Unity Care was fortunate to have been shepherded by skilled and competent psychologists, and we are honored to provide continued excellent services to the greater Pittsburgh community. Interested in joining the Unity Care Team? Design & Programming by DesignByTricia.com.